One of the main things about owning an air conditioning unit is the need to ensure maintenance is performed monthly and tuned up twice a year from a trained air conditioning technician. 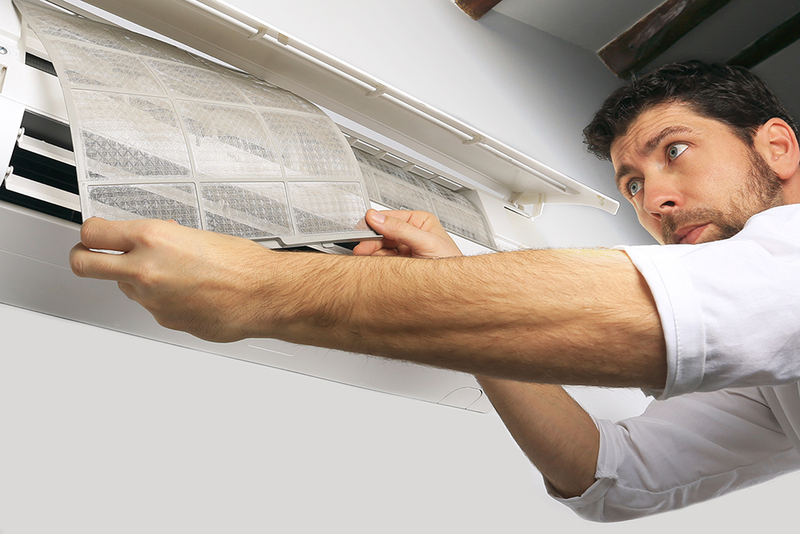 Air conditioning maintenance is one of the main things that many homeowners miss. Neglecting maintenance will have an affect on your system which can be costly. Cleaning your filter is a monthly task that can keep your air conditioning system in top condition and running as it should. We have put together the top reasons you should clean your filter and why it is so important. Take your filter out and remove any debris that could be stopping the filter from doing its job. Make sure you follow the manufacturer’s instructions when cleaning to make sure your filter isn’t damage during the process. A reduction in airflow will ultimately increase your overall electricity bill. This is because your unit draws on more energy to help it work better and to help cool your house down on hot days. Keeping your filter clean will ensure the system can draw in as much air as it needs to work efficiently. A clogged and dirty filter will put extra pressure on all parts of the system. Without regular maintenance you will find that parts break down and need replacing much more often. Taking 3 minutes once a month to clean out your filter will save you a lot of money in replacements and technician call out charges. If your filter is clogged you can guarantee the parts on the other side of the filter are dirty too. Everything that passes through the filter gets sucked up and distributed around your house. This means that anyone who suffers from allergies will notice a flair up in their symptoms. You will also be breathing in any of the dust that gets pumped into each room from your ac system. Replacing or cleaning your filter every month will ensure your system runs efficiently and without any problems. Make sure you are well informed on how your filter should be cleaned and if not make sure you contact your technician for a proper run down.